Sculptra® helps restore lost facial volume by stimulating your body to increase its production of collagen, the material that gives your skin its thickness and fullness. The before and after photographs above illustrate how Sculptra lifts the cheeks and upper face. This decreases the appearance of the crevasse that begins at the corner of the nose and continues around the mouth (nasolabial fold). The eyes appear more open and the jawline is more defined. The overall impact is a more refreshed, energized, youthful appearance. Visible facial aging can be largely attributed to the loss of collagen supporting structures including; bone, muscle, fat pads, elastin and hyaluronic acid. These changes alter facial volume and proportions between the upper and lower face. Declining volume in the upper face (cheeks, temples) and more volume in the lower face is typical of an aging face. Elastin is a particularly important skin componet, it keeps your skin taught against the underlying foundation, and hyaluronic acid cushions and hydrates the skin. Sculptra® “lifts” your skin helping your body create more collagen and elastin, which can replicate the appearance of a younger face. The aging process includes thinner skin (from the loss of collagen and hyaluronic acid) and loose, sagging skin from the lose and decreased effectiveness of elastin. The ageing process begins in our 20's and it's trajectory is determined by genetics and environmental (sun exposure, smoking, etc.). By 40 most people have lost 20% of their collagen. Sculptra® is described as a volumizer, it improves your appearance in different ways than other dermal fillers that are predominately composed of hyaluronic acid. Sculptra® is composed of poly-L-lactic acid which enhances your appearance by stimulating your skin to increase collagen, elastin and hyaluronic acid production. Collagen is a key component of the dermal layer of your skin. Elastin (think elasticity and tightness of your skin) resides within your collagen, as does hyaluronic acid. Sculptra® works deep in your dermis to re-energize natural production of your dermal skin layer, the foundation of your skin. This restores the lattice like structure that holds your epidermis firm and smooth. Sculptra® can take a few months to reach its maximum effect as your body ramps up dermal production. It is described as "natural, gradual and long lasting. The effects of Sculptra® can last as long as two years. There are a number of other dermal fillers available that are composed of hyaluronic acid (HA), such as Restylane and Juvederm. These replace your thinning collagen and fat pads with artificial hyaluronic acid. The cosmetic difference created by hyaluronic acid based dermal fillers is immediate. The visible changes created by these dermal fillers slowly decline with time. They typically last between six and eighteen months. Your metabolism, lifestyle and the area injected all impact how long a hyaluronic acid based filler lasts. You can work with your Spa 35 injector team to determine the type of cosmetic filler best for you. In most cases a combination of fillers and energy based modalities creates the maximum desired results. Common combination treatment plans include: a dermal filler, a neuro-regulator (Dysport, Botox) and an energy based device, such as IPL or Profound Lift. A treatment strategy with multiple modalities is able to address a more comprehensive set of aging skin symptoms, including: wrinkles, thinning, sagging and discoloration. Sculptra® is delivered into your skin with a series of injections. Most people will get three treatment sessions spaced about two months apart. Each treatment session will take thirty to forty-five minutes. Immediately after each treatment you may have bruising and swelling. In most cases, there is very little downtime, but you don’t want to schedule Sculptra® injections immediately before a big event (e.g. wedding pictures, or big presentation). When Sculptra is placed into your dermis it stimulates your skin to increase production of dermal structures. Some people us the term "Sculptra glow" to describe changes in skin tone and texture. Maximum effects of Sculptra can take a few months. Sculptra creates a natural, gradual, long lasting improvement of your appearance. The most common post injection effects are: swelling, tenderness, redness, bruising, itching and lumps. Immediately after the treatment you may want to use an ice pack to reduce swelling and the risk of bruising. Spa 35 recommends you massage the treated areas for five minutes a day, five times a day for five days to maximize your results. *Please read the Sculptra informed consent document for details on contraindications, post treatment effects and other important information. You should budget $2,500 to $5,000 for your Sculptra sessions. Two years after the end of your initial treatments you may want to have another treatment to maintain the results from your initial treatment sessions. Sculptra helps restore lost facial volume by stimulating your body to increase its production of collagen, elastin and hyaluronic acid, the materials that gives your skin its thickness and fullness. It is composed of poly-L-lactic acid and injected into the dermis. This stimulates your fibroblasts to create more dermal material. A thicker dermis provides better support for your epidermis and changes the light reflectivity of your skin for a more youthful appearance. Are Scuptra® injections a good choice for me? The people who benefit the most from Sculptra® are healthy individuals who monitor their lifestyle choices to maintain good skin quality (limited sun exposure, no smoking, exercise etc.). A consultation is necessary to provide a detailed opinion on how Sculptra® might help you reach your aesthetic goals. 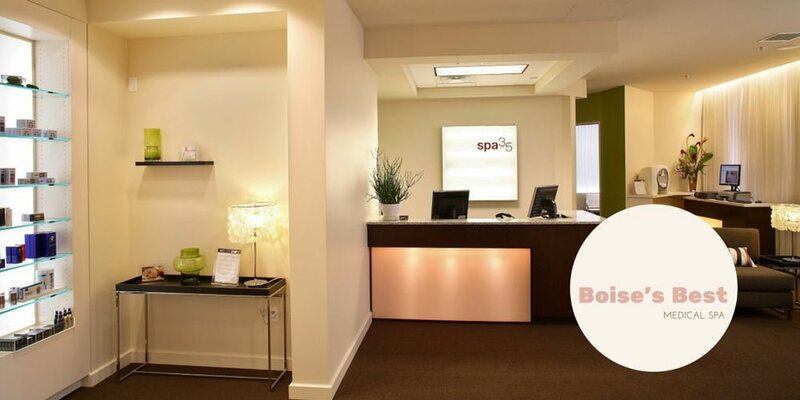 This allows you and the Spa 35 team to discuss your cosmetic goals, lifestyle, budget, health status and other factors to create the optimum treatment plan for you. Will Sculptra® make me look unnatural? Since Sculptra® works by stimulating your body to produce collagen and other dermal structures, many people believe it provides a more natural looking outcome than alternative dermal fillers. Effective communication between you and your Spa 35 injector is foundational to achievement of the look you want. Each of us has a unique vision of our best appearance. What is natural to one person is “under treated” to another. Therefore communication is key to an outcome that matches your individuality. How many Sculptra® treatments will I need? In most cases three treatment sessions are scheduled about two months apart. Annual follow-up treatments may be desireable for maximum results. You’ll experience maximum results about four months after you start your treatments. This can vary greatly by individual. What are the possible side effects of Sculptra®? Immediately after your injections you may experience: Redness, bruising, tenderness, and lumps. With any skin injection there is a risk of infection. Please read the informed consent form prior to your treatment, it has detailed information on potential side effects. Your injector is happy to answer all your questions on potential side effects to ensure it is the right choice for you. Dermal fillers composed of hyaluronic acid provide a more noticeable short term improvement in appearance than Sculptra®, but typically do not last as long as Sculptra®. Their mechanism of action is different, introducing external HA into your skin, rather than stimulating your skin to create collagen. Profound is an energy delivery system manufactured by Syneron-Candela®. The Profound treatment consists of five pairs of micro-needles that are inserted into the skin. While in the dermal layer computer controlled radio-frequency (RF) energy is transmitted between micro-needle pairs. The RF energy is absorbed by skin tissue and converted to heat. The heat stimulates your skin to produce collagen, elastin and fibrin. The Profound Lift can be a complementary procedure to Sculptra® or an alternative. See Profound Lift for more information. Wrinkles around the eyes and upper face can be improved with substances that temporarily interrupt the muscle movement that causes the wrinkles. Years of repetitive muscle contraction combined with thinning skin result in wrinkles that become more pronounced when contracted, and eventually the lines of the wrinkles are visible when the muscles are at rest. Neuro-regulators are a complimentary procedure to Sculptra. Sculptra helps rebuild collagen to reduce the appearance of wrinkle lines, while the neuro-regulators reduce the muscle movement that contracts skin into an “accordion” wrinkle shape. Another fundamental sign of aging skin is discoloration, typically from age spots (solar lentigines) and redness from enlarged blood capillaries. There is also a clinical study funded by Sciton (a laser manufacturer who makes Broad Banded Light (BBL) a trademarked light device) that indicates these treatments also encourage collagen production. Typically IPL or other filtered light treatments are used as complimentary services to Sculptra. Surgical removal and mechanical repositioning of the skin is an option for people with loose skin. A face lift can be complimentary to Sculptra® or used as an alternative to Sculptra®. During a face lift the surgeon can remove excessive skin and suture the skin into a more youthful position. A face lift will not improve skin thickness. Post face lift your skin may look “tighter” but still thin and aged. Sculptra® may be used to extend the time before you undergo a face lift. It can also be used after a face lift to restore a more youthful “plump” to the face.